100% hand-woven natural cotton apparels, scarfs and accessories. 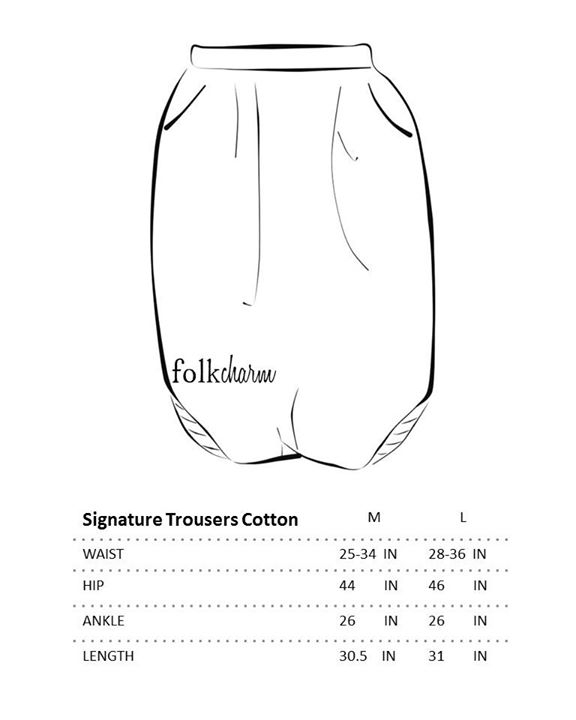 ​​After many months of testing, trial and error, we are proud to present you FolkCharm’s Signature Comfort Wear!! ​These Baan Kokkabok’s and Bhupan's super soft hand-spun hand-woven natural cotton - natural dye trousers have two side pockets and comes in two sizes of M & L. The skirts have inner linings and 2 pockets, giving you comfort on a busy day at the office or can even take you to an easy weekend at the park!